Camp activities include an introduction to ski specific dry-land training, roller skiing, and cross training activities; such as agility and obstacle courses, pole hiking and bounding, and outdoor games. * The age groups are guidelines, and have room for flexibility, depending on each participant's experience and fitness level. Igor Badamshin was instrumental in developing senior and junior performance programs for CXC from 2008-2014; Igor helped many athletes and coaches gain experience and skills in the sport of cross country skiing; his love for skiing, coaching, youth development has left a legacy of success. The intention of each camp is to inspire and excite youth, in Igor Badamshin's honor because his positive and playful approach to coaching has touched and inspired skiers of all ages. * Participants will be assigned dorms; bedding is NOT supplied; group meetings and food will be served indoors. * Participants will be Camping at the UWEC-BC Campus, Tents will NOT be supplied; group meetings and food will be served indoors. 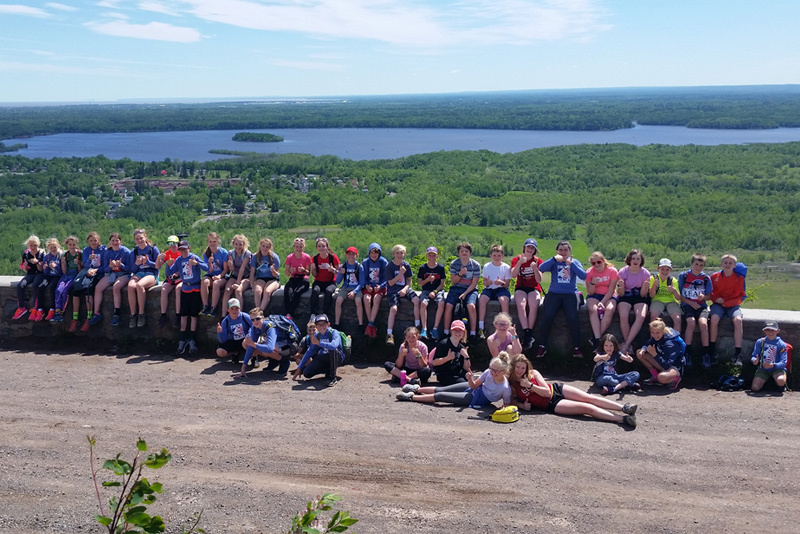 Depending on location, the cost to attend an Igor Legacy Camp varies between $155 and $165 per person (participant, parent, and/or coach); includes a 3% online processing fee, surcharge for state and local sales taxes, facility and lodging fee, six meals, coaching, camp T-shirt, and Nordic swag. Participants are welcome to register for more than one camp. The main coach contact for Igor Legacy Camps is Joe Haggenmiller, CXC Sport Development Director; additional U.S. Ski & Snowboard Level 100 & 200 coaches as well as Nordic guests, including coaches, sport trainers, equipment representatives, and advisors from across the Midwest will also be present. Parent support will be limited to six (6) selected parents per camp. Coaches must be certified U.S. Ski & Snowboard Level 100 or 200, and be limited to six (6) selected coaches per camp. Interested parents and coaches should submit a letter of interest and short biography to Joe Haggenmiller, joe.h@cxcskiing.org. Camp fees for parents and coaches are $150 per camp; U.S. Ski & Snowboard Level 100 & 200 coaches will be compensated with a coaching stipend. Parents and coaches will be assigned camp roles and responsibilities upon selection. If you are NOT selected to attend as a parent or coach, your credit card will be reimbursed for camp fees paid. 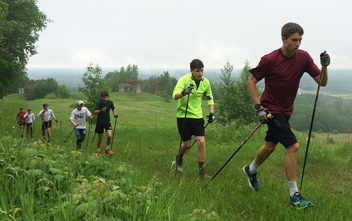 Three different Igor Legacy Igor Nordic ski camps, for youth U12 (ages 10-11) and U14 (ages 12-13) interested in the sport of cross country skiing. The age groups are guidelines and have room for flexibility. Each camp will include similar focus points: athletic movements for balance, agility, strength, mobility, and power. Camp activities will include dryland training, roller skiing, pole trekking, hiking, soccer, Ultimate Frisbee, and much, much more. Activities may vary slightly at each camp due to the terrain and features at each venue. A detailed camp schedule and equipment list will be emailed to registered athletes two weeks prior to each camp start date. Each camp will include six meals and snacks: two breakfasts, two lunches, and two suppers, and evening treats. Meals will be served indoors. Participants will be assigned dorms; bedding is NOT supplied. If a room buddy is needed, CXC will help with arrangements. All athletes will receive CXC swag, an Igor Legacy Camp T-shirt, and other skiing goodies. For further information or details about the 2019 IGOR LEGACY CAMPS please feel free to contact Joe Haggenmiller joe.h@cxcskiing.org. The top 12 U14 boys and top 12 U14 girls from the final CXC Youth Cup points list will be invited to the CXC Dream Camp this summer where they will be training alongside various members of the CXC ski community. The goal of the Dream Camp is to bring together top U14 boys and girls to train and receive feedback, educational materials, while offering a glimpse at the bigger picture of Nordic ski racing. These collaborative camps provide a motivating environment for the athletes to positively push and improve together. CAMP PRICE: the cost to attend a Dream Camp is $565 per person and includes coaching, limited local transportation, food and lodging, a 3% online processing fee and surcharge for state and local sales taxes. The top 12 male and 12 female U14 athletes from the final CXC Youth Cup points list will be contacted with an invitation in mid March. Please notify CXC if you will be attending the camp by March 15th and complete registration by April 1st. After April 1, if registration is not complete the spot is forfeited and CXC will invite the next athlete on the points list. If CXC goes to 16th place in either gender without filling the spots, a petition process will be opened. On-line Registration | 2018 Camp Photos | Questions? Let us know. This camp focuses on fitness testing and individual technique work on the Roller Ski Treadmill in Madison, WI. The roller skiing sessions on the treadmill will provide opportunities for technique breakthroughs and provide athletes good technique cues to work on throughout their summer and fall training. 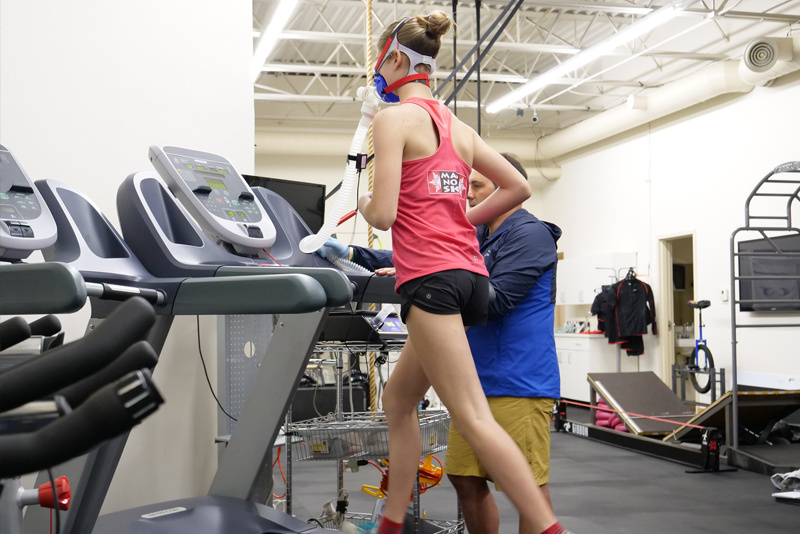 The VO2 Max testing component of the camp offers an opportunity for athletes to understand their current fitness level, develop a baseline for future analysis, update training zones and gain knowledge that will help better execute a quality summer training plan. NOTE: This "camp" is not a great fit for beginner roller skiers. The roller ski treadmill can be an intimidating adjustment for seasoned rollerskiers, and is not the place to start your roller skiing career. It is recommended that those signing up for this camp have at least one dry-land season of experience roller skiing in both the Freestyle and Classic techniques. 3. RS treadmill session (other technique). For optimal sessions, adequate recovery is needed. Athletes should not schedule more than 2 sessions back to back. CAMP PRICE: the cost to attend the CXC May Fitness Testing Camp is $210. Fees include Center of Excellence use and coaching. Room and Board is not included. It has limited space to be filled on a first-come, first-serve basis. 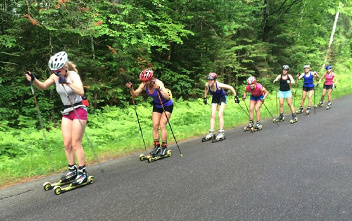 Now in its fourth summer the CXC U16-U18 Three-Day Camps are designed to specifically meet the needs of athletes ages 14-17 who are newer to dryland training and roller skiing. 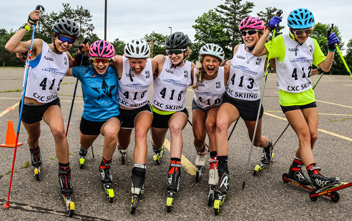 The goals of each CXC Three-Day Camp is to further promote the growth and development of junior cross country ski racers and expose young athletes to the building blocks required for successful cross country ski racing. These camps will occur during and "shadow" the first three days of each of the longer camps, but be dialed back as appropriate for each participant. Camp activities will include outdoor games, dry-land activities, roller skiing, and cross training activities. The intention of each camp is to inspire and excite skiers to further pursue the next level of skiing following the experiences gained at the Igor Legacy Camps, and before joining the ranks of the CXC U16-U18-U20 Camps. 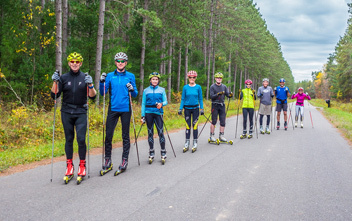 The CXC Three-Day Camps offer new roller skiers and summer skiing trainers a chance to integrate with other junior skiers at the CXC U16-U18-U20 Camps while obtaining specific coaching that tailors to their developing needs. This model allows the newer summer training athletes to set their sights on older athletes to envision and motivate their future skiing while training at a level appropriate to their needs. Athletes are welcome to attend one, two or all three camps. Those who are looking to make the most of their summer training are encouraged to attend all three camps, and work with their individual team/club coach between each camp. Note: The age groups are guidelines, and have room for flexibility, depending on an athlete's experience and fitness level. The camp schedule includes overlapping camp dates with the CXC U16-U18-U20 Camps and locations to accommodate families and teams with different age athletes. Focus: this camp will focus on building a dryland training base and teach athletes basic training fundamentals, including rollerskiing and technique work with all dryland modes of training. Lodging: participants will be assigned dorms; bedding is NOT supplied; group meetings and food will be served indoors. Focus: This camp will focus on continuing to build that training base while learning to ski faster. Both volume and moderate intensity will be goals of the camp. Total load will ramp up some during this camp. As with all our camps, educating athletes on technique and training fundamentals will be emphasized. Lodging: participants will be assigned a cabin and bed; bedding is provided; group meetings and food will be served indoors. Focus: This camp will focus on building each skiers VO2 max through both base volume training and high quality intensity. We will continue education on technique and training fundamentals, but here we will start to look at our technique at speed. Depending on location, the cost to attend a CXC U16/18 Three-Day Camp varies between $310 and $330 per person (participant, parent, and/or coach); includes coaching, 3 meals/day where applicable, facility and lodging fees, and a T-shirt and/or camp swag. The fee also includes a 3% online processing fee and surcharge for state and local sales taxes. To attend all three camps the fee is $800.00 per athlete. A detailed camp itinerary and gear/equipment list will be emailed to registered athletes two weeks before each camp date. The main coach contact for U16 Camps is Joe Haggenmiller, CXC Sport Development Director; additional U.S. Ski & Snowboard Level 100 & 200 coaches will be present. Team and club coaches from the Central Division are encouraged to participate. Coaches stipends in addition to food and lodging during the camps are available for U.S. Ski & Snowboard Level 100 and Level 200 certified coaches. Please contact Joe Haggenmiller at joe.h@cxcskiing.org to arrange coaching opportunities. For further information or details about the CXC U16 Camps, please feel free to contact Joe Haggenmiller joe.h@cxcskiing.org. These training camps are designed to bring the committed athletes from collaborating teams and clubs together to train and workout for extended periods during the spring, summer, and fall. The focus at each camp is to supplement a year round training program while learning how to train hard, effective and efficiently. The camps are geared to increasing performance and preparing athletes to compete at the State, Regional, and National levels via technique analysis, strength, endurance and intensity based workouts that will allow athletes to tap into their full skiing potential. Each camp features presentations on important topics by qualified coaches and guest speakers each evening along with social and group activities, workouts that explore unique outdoor areas, and other optional outdoor actives such as swimming, canoeing, biking and more. Note: The age groups are guidelines, and have room for flexibility, depending on an athlete's experience and fitness level. All athletes ages 14 to 19 are welcome to attend these camps. U16 Athletes (ages 14-15) who are ready for 5 days of camp training are welcome to be a part of the full camp and have had great success in the past. For those who are new to year round training, the camp schedule includes overlapping camp dates with the CXC U16-U18 Tree-Day Camps and locations to accommodate families and teams with different age athletes. If registering prior to May 1: the cost to attend one camp is $700 per athlete; any two camps is $1,285 per athlete. To attend all three camps is $1,790 per athlete. Fees include coaching, 3 meals/day where applicable, lodging fees, a T-shirt and/or camp swag. The fee also includes a 3% online processing fee and surcharge for state and local sales taxes. The main coach contact for U16-U20 Camps is Joe Haggenmiller, CXC Sport Development Director; additional U.S. Ski & Snowboard Level 100 & 200 coaches will be present. Team and club coaches from the Central Division are encouraged to participate in the camps. Coaches stipends in addition to food and lodging during the camps are available for U.S. Ski & Snowboard Level 100 and Level 200 certified coaches. Please contact Joe Haggenmiller at joe.h@cxcskiing.org to arrange coaching opportunities. Central (CXC) Regional Elite Group Camp (REG) brings together the top juniors in our region to train and receive feedback, educational materials, and a glimpse at the bigger picture of Nordic ski racing. The NEG (National Elite Group) athletes are selected from the four REG camps around the country. Athletes selected to the NEG will be invited by U.S. Ski Team to participate in additional camps. Bryan Fish will be U.S. Ski Team coach attending this camp this year. Notify CXC if you will be attending the camp by May 1st. Once we have received confirmation from everyone, depending on confirmed numbers, camp will be opened for petitioned athletes from Junior National Team to apply. 2018 Camp Photos | Questions? Let us know. 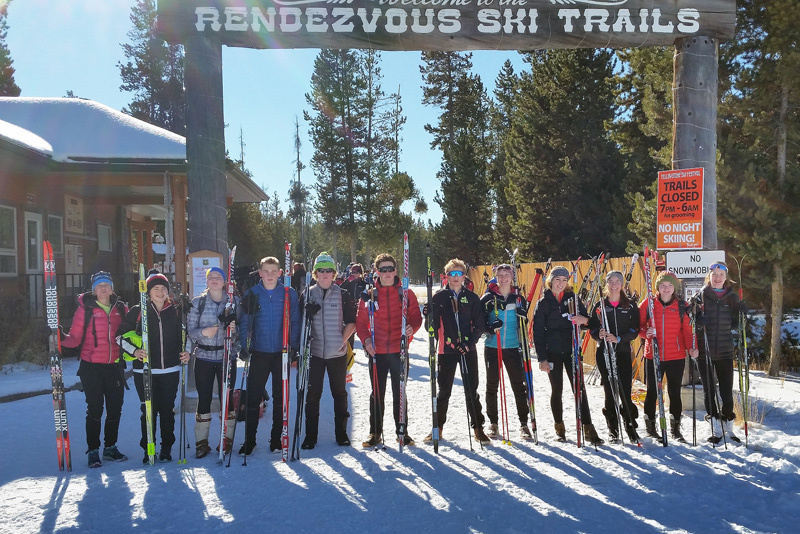 Junior athletes and coaches are invited to take part in the CXC Nordic On-Snow Ski Camp and Festival in West Yellowstone November 22 - December 1�to kickoff the season. The focus of the camp will be early season transition to snow, building on technique and strength through the week. Note: full payment or $250.00 down payment REQUIRED to reserve a spot (down payment is non-refundable). View 2018 Itinerary | On-line Registration | Questions? Let us know. The camps focus on technique drills and workouts that tend to be unique and different from most skiers' normal routines. All levels are welcome, from beginners to advanced. A fair amount of each camp includes technique drills and skills that break down individual movements and skill progressions to help skiers understand what is required for personal improvement. During camp, participants will work on agility, balance, dryland training, ski imitation, and skiing on snow or rollerskiing. The camp is also a great opportunity to learn about training, technique, racing, recovery and more. Video analysis is available at all Masters Camps. * These camps are free to CXC Masters Team (?) members; please RSVP to reserve your spot. * Meals and lodging are not included in the $200 coaching fee. On-line Registration | Camp Photos | Questions? Let us know.